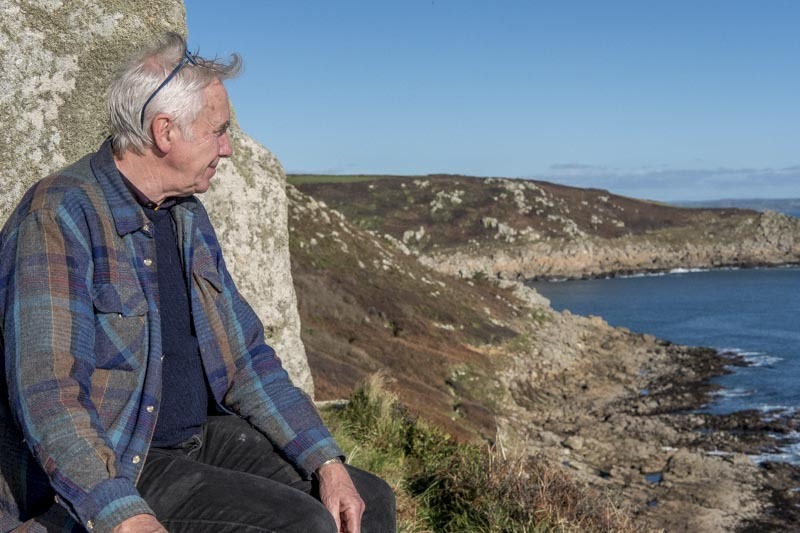 I have just spent a few days down near Lands End in Cornwall to visit the renowned sculptor and ceramicist Colin Caffell at his beautiful home and studio in wonderful Lamorna Cove. 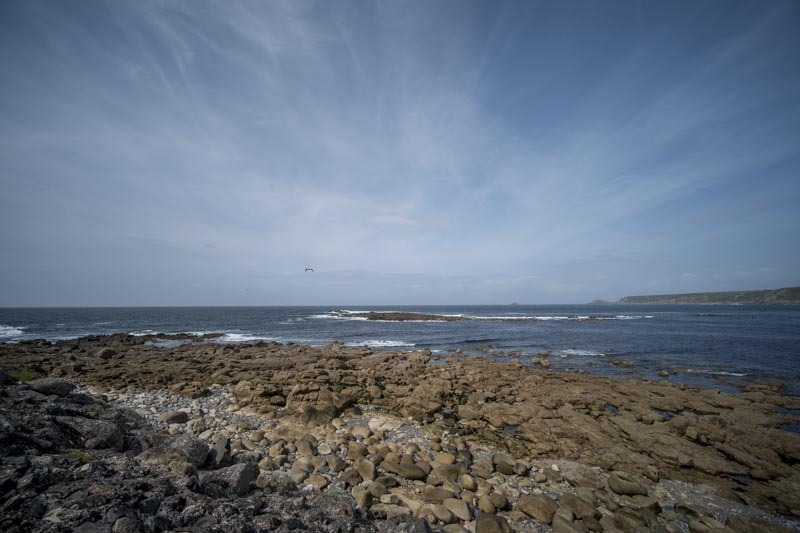 Colin’s career spans over 40 years and his work is in private collections across Europe, the United States, Bahamas, South Africa and Australia. Growing up in London close to Regent’s Park, as a youngster Colin spent a lot of time wandering around the British Museum. It was here that he unconsciously developed a keen eye for art and from this in the early 1970’s he went on to gain an Honours degree in ceramics and 3 – Dimensional design at Camberwell School of Arts and Crafts in South London. 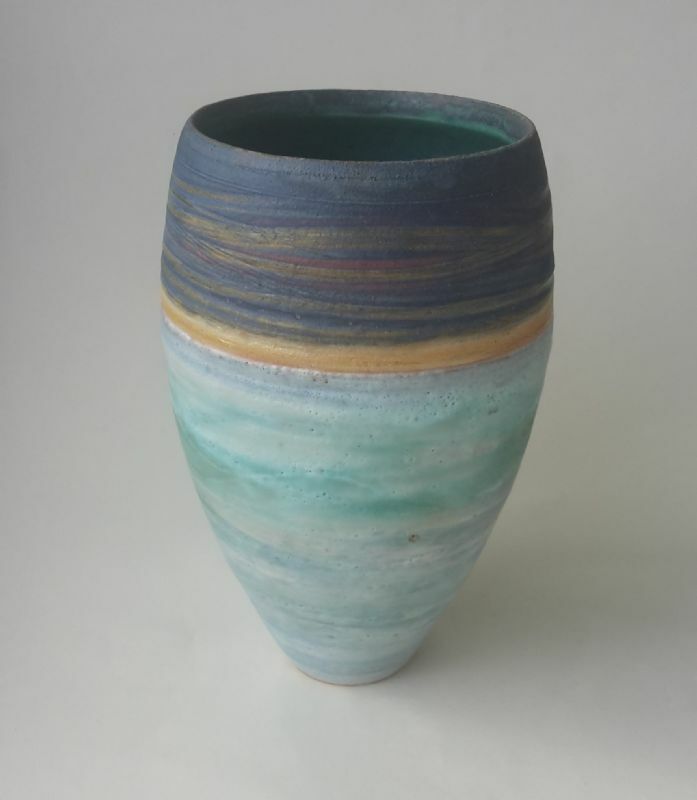 He was lucky enough to be taught by some leading studio potters in Britain at that time, Colin Pearson, Ian Godfrey, Ewen Henderson, Glenys Barton, Ian Auld and Lucie Rie. 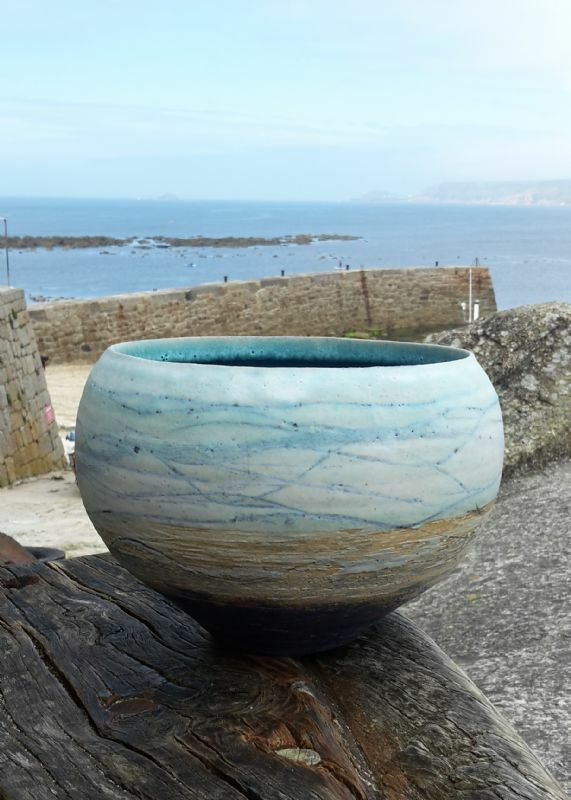 Having spent years developing his own style and with a move to Cornwall with his wife Sally in 2006, Colin’s inspiration from the area can be seen in the beautiful misty seascape pots he is now producing and that have become significant collectors items within the art world. 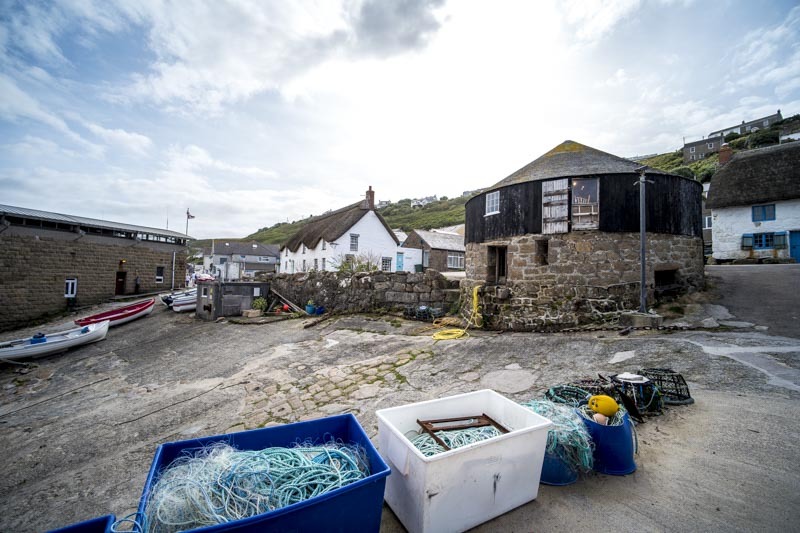 Colin is a very busy man, he not only throws pots and works on sculpture commissions but also runs with his wife Sally the very successful Roundhouse and Capstan Gallery at Sennen Cove, a must visit for all those interested in the best of Cornish art featuring not only Colin’s work but other artist’s in and around Cornwall. 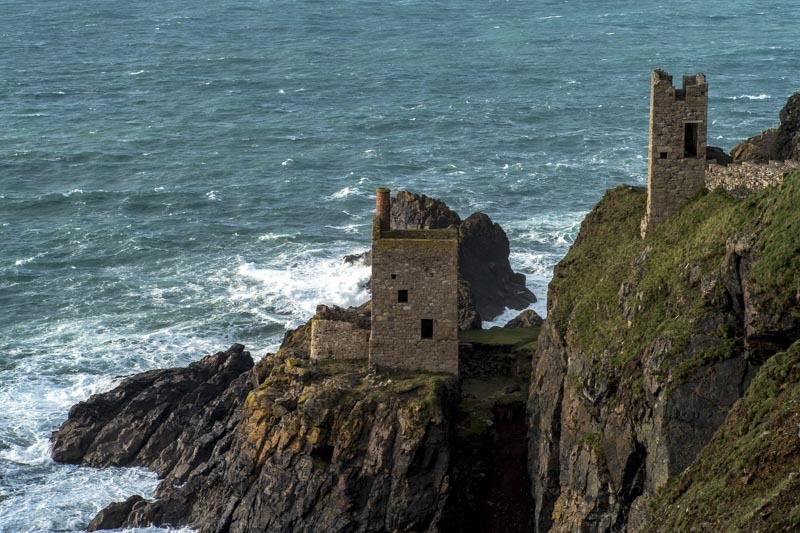 If this wasn’t enough, Colin was selected and commissioned to produce a statue of a tin miner to the memory of the St Just and Pendeen Cornish Hard Rock Miners which was entirely funded by the communities of St Just and Pendeen. An amazing effort not only by Colin but the many volunteers who gave their time so generously in making the whole project come together. 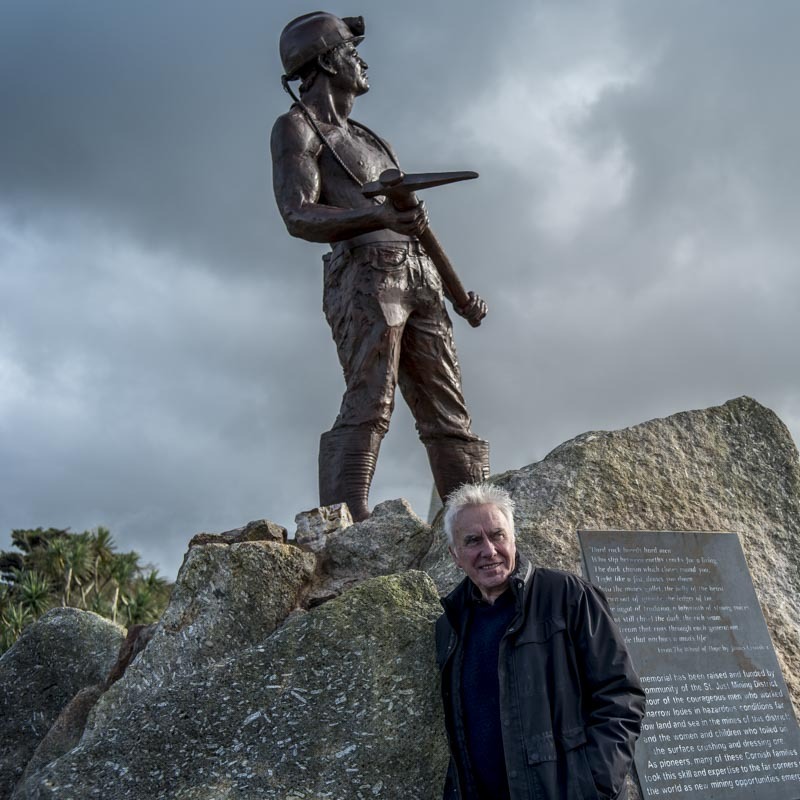 The statue was installed in May 2016 and can be seen in all its glory at Geevor Tin Mine, the largest preserved mine site in the country which is situated on Cornwall’s Atlantic coast. A really interesting place to visit with the family. I had a wonderful time listening to Colin about his life and understanding how this great artist goes about producing such amazing works of art and his enthusiasm for all things creative is incredibly inspiring. 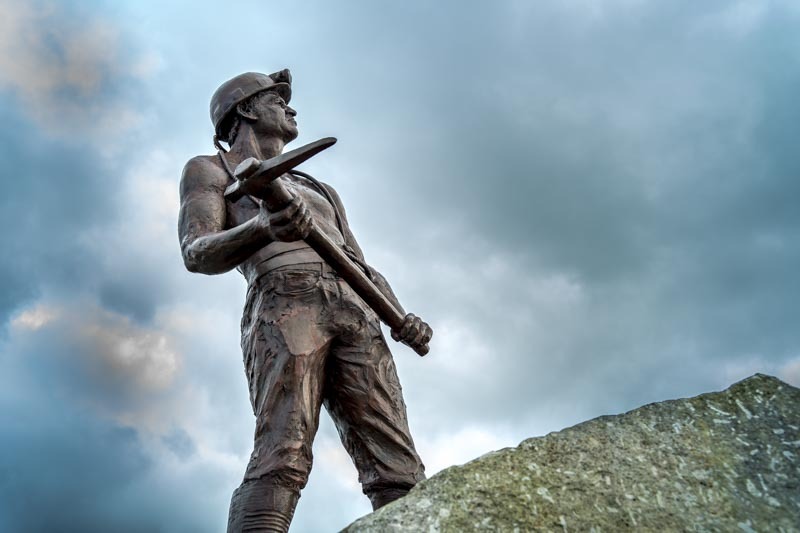 If you are visiting Cornwall in the future, schedule in a visit to Colin and Sally’s Roundhouse gallery at Sennan and also take a trip to Geevor Mine and say hello to the Miner statue, a wonderful piece of art. 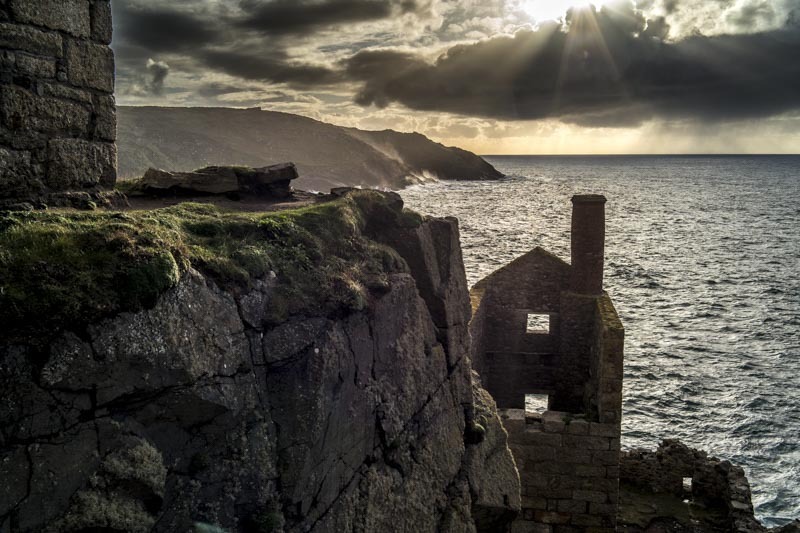 Forget Poldark on television and experience Cornwall for yourself.. it is a special place to visit all year around but especially now with scenic cliff top walks, uncluttered beaches and cosy pubs serving cornish pasties and local ales while sitting by the log fire. What could be better.